It's Monday morning, and it's that time again for European download gamers. This week's download goodies are confirmed, including a Super NES title that we think will be popular, a chaotic retail release on 3DS and plenty more besides. Let's get down to the details, shall we? Pilotwings (Nintendo, €7.99 / £5.49) — This flying game was a trailblazer when first released, combining different vehicles and challenges with the goal of flying your way to a surprising and epic final mission. Not exactly a detailed flight sim, but under the right circumstances still laid back, this one certainly has a loyal group of fans that we suspect will eagerly pick it up on Wii U. We'll take a fresh look at the latest re-release, but until then you can check out our Wii Virtual Console Pilotwings review. Dress to Play: Magic Bubbles! (EnjoyUp Games, €3.99 / £3.59) — The Dress to Play series returns, once again combining fairly simplistic avatar dress-up with a basic game, a fusion certainly targeted at children in particular. Its cute aesthetic works well and the basic match-three game is fun enough, with just the limited fashion aspect holding it back. It's still worth consideration, as our Dress to Play: Magic Bubbles! review explains. 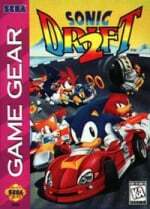 Sonic Drift 2 (SEGA, €3.99 / £3.59) — While Mario is perhaps most commonly known for his karting exploits, Sonic was hitting the tracks on Game Gear, though this one arrived after Super Mario Kart had burst onto the scene. Said to be far better than the original Sonic Drift and the first to arrive outside of Japan back in the day, we'll get into the driving seat to bring you a review, soon. 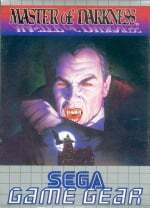 Vampire: Master of Darkness (SEGA, €4.99 / £4.49) — This is a side-scrolling adventure title, with a bit of exploration thrown in, that some may loosely compare with the early Castlevania games. What we do know is that Dracula is trying to take over England, so we'd better hurry up and start our review. 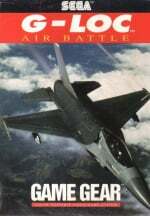 G-LOC: Air Battle (SEGA, €3.99 / £3.59) — An action flying game, this one was also popular on the SEGA Mega Drive. The Game Gear version arrives on 3DS, with plenty of blasting on the agenda as you try to save the world from the skies. We'll dig out our gear and take-off for our review. Project X Zone (Namco Bandai, €34.99 / £27.99) — This cross-over RPG combines the worlds of Namco Bandai, SEGA and Capcom, with Monolith Soft on development duty. If that's not enough, it's also rather good, with a zaniness and visual flair all of its own, even if confusion can occasionally be the order of the day. According to Nintendo's press release this will be available on 4th July with the rest of the downloads, which is one day ahead of its EU street date. If you're unsure, you can read the strong recommendation in our Project X Zone review. California Super Sports (Cypronia, 500 Nintendo Points) — Tapping into the summer season, this release aims to provide fun mini-games based around Californian sports and games such as rollerblading and target football. Unfortunately, it's a collection that fails to deliver mini-game fun or longevity, as our California Super Sports review makes clear. 99Moves (EnjoyUp Games, 200 Nintendo Points) — The latest DSiWare release in the 99 series, this one sees your number of moves limited as you attempt to navigate your way through ever-trickier courses. It has a certain charm and provides some true retro-style challenge, yet the gameplay hook certainly won't appeal to everyone; check out our 99Moves review for the full lowdown. The King of Fighters '99 (D4 Enterprise, 900 Nintendo Points) — The Neo Geo fighting franchise returns to the Wii Virtual Console. This introduced a four-fighter mechanic but, for some, doesn't quite live up to its predecessor. Despite that popular conception, we recommend it as worth a look in our The King of Fighters '99 review. So there you go, every single active Nintendo system gets some content this week. Let us know what you plan to download in the poll and comments below. I just bought Mighty Switch Force HD ... ah well, my body was ready. Looking forward to trying Pilotwings for the first time. This is getting silly, still no Cave Story+? Nah, I´ll wait till they release Shantae on eShop later this month. I'll get Might Switch Force for that price, was waiting until I got a Wii U but I can't argue with £3.60. Also getting the physical version of Project X Zone. i already have paid full price for the discounts and project X zone needs to be boxed for me. Nothing for me, but it's a good week. SEGA still going strong with the Game Gear which is nice! I will however, buy Project X Zone physically. I was tempted by Master of Darkness as I always wanted it when I was a kid, I had a magazine which posted a guide with the layout of all the levels and back then I thought it looked really good. But I've recently watched a brief Lets Play video on YouTube and it looks just awful, like a poor platformer with too many floating enemies. 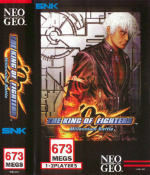 How many "The King of Fighters" games are there? And what do they want? Am I the only one who thinks £5.49 for old SNES games is abit of a rip off? Yeah Pilotwings is great, but it is getting very expensive to buy these games, esp when Android games are a fraction of the price. I just bought Mighty Switch Force about 6 hours ago! Nooooo! Cmon Nintendo, bring the n64 (and preferably gamecube) games to the wii u eshop! I wanna play Waverace and Majoras Mask on the gamepad! Pilot Wings Is MUST buy. I suppose it depends on what you value. I see something like this Pilotwings as worth the price. If Nintendo stick to these prices and they sell well enough, I think it reflects well on the value of Nintendo's history. That said, I'd only pay for Pilotwings with clarification that its an uncompromising version. The "optimized" PAL Balloon Fight from last week is a shambles. @Sonic_Phantom, know exactly what you mean, I wish Pilotwings, SMW, F-Zero etc were each a couple of quid cheaper, but can't see them being put on sale anytime soon. Think they would sell a lot more of them if they were £3.99 each or something. So i might already have Project X Zone here in Italy. I got i saturday, D1 break to the rescue! How to prove it...mmm. Let's say i saw Morrigan, Chun-Li, Akira, Bahn and Pai Chan go in an office of some young lady that has a lot of money after beating a large but weak group of guys lead by Drei Belanos. 3 hours in, not trying to rush, amazing game. Another never before seen combo of gameplay from Monolith Soft. Pilotwings was amazing back in the day and still pretty fun today, but it hasn't aged so well. I just find it dificult to go back to after the sheer awsomeness of Pilotwings 64, i really enjoyed Pilotwings Resort too. According to the list of GG games i saw in Retrogamer, that's it for the game gear games for a little while. I'm sure the article listed both Sonic Drift 1 & 2, but i think Sega were wise to skip the first, i played it on one of the gamecube Sonic collections/Sonic Adventure DX (can't remember where exactly) and it was rubbish. Never been that interested in G-loc and already have Master of Darkness as an SMS cartridge, it's a pretty decent Castlevania type game. Also a "proper" one with the original characters instead of the Mii and more than one stupid island to fly around like on the 3DS version. While that was fun to play it didn't feel like Pilotwings and the amount of content equaled a typical tech demo not a full price retail game. I don't expect anymore CaveStory+ so it's no more a problem to not being released... sorry Nicalis, you're too late ! Wasn't Sonic Drift 2 called Sonic Drift Racing in Europe? @manu0 True, but it's still cool to hear another gamer discuss how much they like it. @datamonkey I haven't tried the 3DS version I was put off with the use of the Wii Sports resort style island and the mii characters, Pilotwings on the NES was awesome as you got these increasingly hard areas to get used to then given a desert strike themed helicopter stage to rescue instructors every 4 levels, it made it interesting and fresh all the way through and the N64 version was just bonkers chasing robots around with your gyrocopter! @manu0 So what? I'm that way. I want to be proud of my collection and gaming feats and i'll say them whenever i want. Welcome in the free internet. @manu0 you're a meanie-beanie-fo-feanie. :< He's just happy... didn't do anything wrong. :<<<< be nice. just curious, has the virtual console promotion finished now? I thought it was pretty pretentious that he wanted to prove he got the game a few days early because he thinks no one will ever believe his incredible feat. Now all I need is Sonic Chaos, because no one needs Sonic Spinball GG. It might have more bugs than 'O6. Looks like my 3DSXL is taking me back, way back to a time of epic SEGS awesomeness... Megadrive 3D classics will blow everything else out of the water FTW! Damm does anyone know if Pilotwings is coming out on 3DS as id buy that one immediately..
@manu0 Pretentious?! Dude, I remember back in 2008 Brawl got released like a week early at Sears, it was this huge fiasco. My friend managed to snag a copy, I was beyond stoked. Admit it. If you got a game early that you had been anticipating for a long time, you'd be stoked. Still No cave story! That keeps my Boycot of Nicalis alive. There are a couple games I hadn't bought and wont buy till Nicalis gets cave story to Europe. Oh tough luck for me. If G-LOC comes this week to NA, I won't be able to get it. I'll be using my $20 to get a PSN card instead of Farming Simulator on the Vita and the 2 The Pinball Arcade table packs. Darnit. No, you're far from being the only one. I've been saying ever since the Wii VC arrived that Nintendo are taking the proverbial with their pricing. I think NES games should be 30p, SNES 99p, N64 £1.99 and GameCube (if they ever arrive) £2.99. When you think that Nintendo saw fit to put nearly 20 NES games for free in the GameCube version of Animal Crossing, it only adds salt to the wound. The Virtual Consoles on 3DS, Wii and Wii U could and should be one of the greatest things in gaming. Instead we get a contemptible service with hugely inflated prices and a ridiculously slow drip of games. Poor show from Nintendo. I feel it depends on the game. I gladly paid $5 for Megaman 3 yesterday. Other NES games are definitely not that good, so their price should be lower. Kinda like they did with Gameboy games where some are lower priced than others. If you do not need the portability, then by all means get the Wii U version. It has more content as you have the Hyper Drive levels, and those sprites look amazing on an HD screen. Yes! 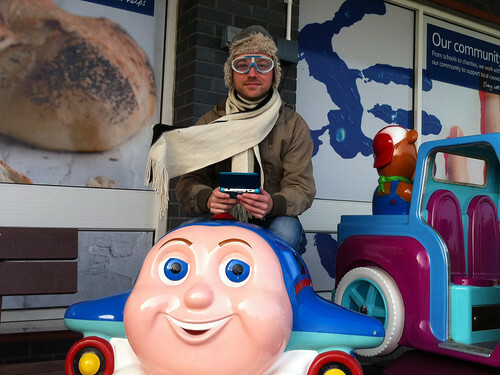 Time to roll out my "I love Pilotwings" photo again. Wii U's Mighty Switch Force is still too expensive for me since i own the 3DS version. If it ever goes down to 5 € again it will definitly be mine. Waiting for reviews for the GG games. I also wonder if Pilotwings is the 60Hz or US version of the game. Oh whaaat G-LOC? That's awesome, I really enjoyed that one on GG. I can't imagine it holds up well at all now but I might give it a shake. @Frapp Your Exactly right about Nintendo and the VC Service! Whose in charge of VC. YOUR FIRED! @Frapp This is why you don't run Nintendo. @ThumperUK £5.49 for A Link to the Past and Super Mario World is not a rip off. Wake up and stop being part of the problem. 3 quid for a 10 year old ROM is a very fair price. £5.49 for a 20 YEAR OLD ROM is beyond a joke. Just because some mugs are willing to pay insane prices for collectable retail games on eBay, that has no bearing on what the mass market is willing to pay for VC roms. And news flash: the mass market has moved to smart phones where the prices are a damned lot more realistic. Why are there 200 point DSiWare games which are completely new and old VC games on 3DS cost more? Shouldn't the lowest priced VC game be the same as the lowest priced DSiWare game? Or am I missing something? @Frapp It simply doesn't make business sense at all. If Super Marios 64 and Sunshine wrre available together for less than £5, that would likely affect sales of Super Mario 3D World. Ocarina of Time and Majora's Mask are simply worth far, far more than £2. Any gamer could tell you that. It's not about how OLD the game is, it's the quality of the game. Who are you to say Metroid Other M is worth more than Metroid 1-4 and Prime 1-2 combined? Balloon Fight may not be worth £3.50 in this day and age, but Zelda is. Honestly, if you wouldn't pay £5 for A Link to the Past then you're the one with the problem. Sorry to be blunt, but Nintendo are in business to make money. If the current prices are proving effective then they will stick with them. I'm pretty sure they've conducted market research on this. Project X Zone is fun but it's easy... still if you are starving for RPG's on your 3DS it's not bad.. however for cheaper you could get Shining Force: Sword of Haya, Defenders of Oasis, and Crystal Warriors.. and have just as much fun and possibly more play time and challenge than X Zone... but hey.. the choice is up to you all..
Aww.. No firework games for the 4th?! Hah.. oh well. I'm definitely gonna check out the old PilotWings game since I never got to play it. Resort is really good so this should be an interesting run. @MeWario I agree. Nintendo need to more open to changung the prices. For example, while Metroid and Super Mario Bros may be worth £3.50, but Mario Bros and Ice Climber just aren't. No, I would not pay £5 for an ALTTP rom today. And I'm not alone in that respect, regardless of the game's quality. My points ARE from a business perspective. The games are old. They have had their chances at retail already. The costs involved in putting up the roms on a download service are not particularly great – server teams, accounts, legal people, and shop managers in each region. Pretty standard stuff. Nintendo staff on the VC services have reacted extremely slowly to competing services on other systems – and they've been years late in introducing sales. Nintendo still do not have a proper account system in place. Though Nintendo have taken some positive steps in the last year or so. My view is that the VC services would see vastly greater sales if the roms were at price points that allowed impulse buying. They've been sitting on a goldmine and should have exploited it far more aggressively. Now there is a global recession. The videogame business, particularly retail, has been hit pretty hard and console game software overall, including Nintendo's, is still priced too highly. Your points about such and such a game's worth are extremely subjective. I could suggest, 'Who are you to be the arbiter of an individual game's value?' Are you upset that Nintendo see fit to sell Super Metroid for 30p? They've even given away Ocarina on GameCube for FREE! TWICE!